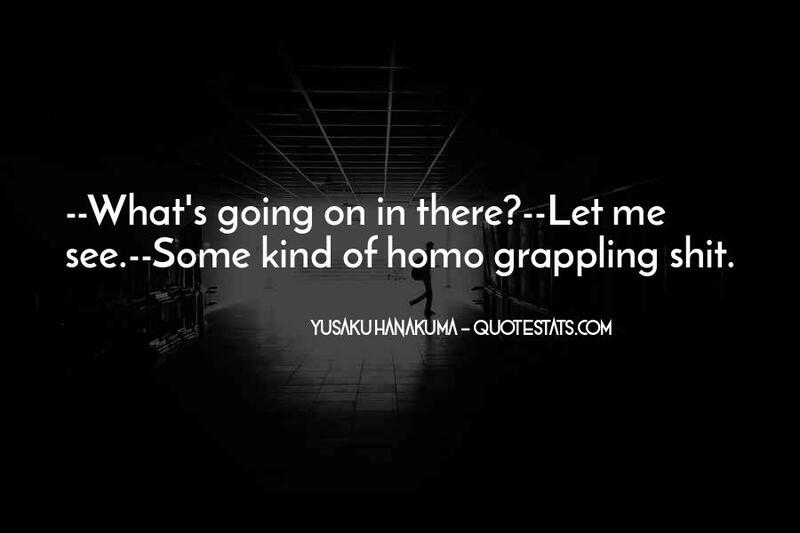 A collection of Yusaku Hanakuma famous quotes, sayings and quotations. Browse top 1 famous quotes and sayings by Yusaku Hanakuma. Read & share Yusaku Hanakuma quotes pictures with friends. Free using on Facebook, Twitter, blogs. #1. --What's going on in there?